Has you or someone you know been injured by a dog bite? If so, then you likely understand the physical pain, emotional trauma, and financial damage that such an injury can cause. Most people don’t comprehend the often severe nature of such injuries, and so they are taken aback when an incident befalls them. If a dog bite has had a negative impact on your life, then you’ve come to the right place. 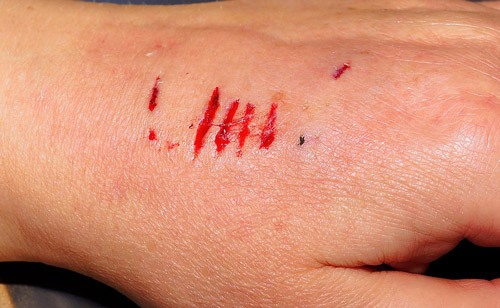 The Ventura dog bite attorneys of the Nagelberg Bernard Law Group understand the complications that can ensue in the wake of a dog bite injury. For over 30 years, we’ve helped accident victims like you gain the compensation they deserve. Many law firms put together a bunch of fancy rhetoric to extoll their virtues, but we don’t have to muddy the waters with bold claims; we can let the numbers speak for themselves. 98.4% of our clients have walked away with some form of compensation, adding up to more than $400 million. Take a brief glance at our case results and you will see that we have the experience and the wherewithal to get you the compensation you deserve. What kind of compensation does that entail? There aren’t many instances where you wouldn’t be eligible for compensation. That’s why why we urge everyone who has been victimized by a dog bite to call us for a free consultation. Our lines are open around the clock, or if you prefer, you may fill out the form on this page and we’ll get back to you at once. Without a qualified law firm on your side, you may never receive the compensation you deserve. Contact the Ventura dog bite attorneys of Nagelberg Bernard today to get what you’re rightfully entitled to by law.